Mr Mzamo was a long-serving minister of the gospel in the Free Presbyterian Church of Scotland, well-known in Zimbabwe (previously Southern Rhodesia) and in Scotland. As it is appointed unto men to die, so did his time of departure arrive to be with the Lord. 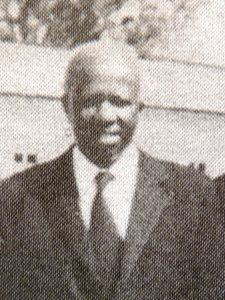 Petros Mzamo was born on 1 October 1918, of the Xhosa tribe, at Ingwenya. He was the last-born in a family of four boys and four girls. His father, Mr Patrick Mzamo, was a God-fearing elder in the Ingwenya Free Presbyterian church, who was said to be powerful in prayer. Petros was educated first at Ingwenya and then at the David Livingstone Memorial School in nearby Ntabazinduna. He then proceeded to do teacher training at Hope Fountain Mission, one of the first missions established by the well-known missionary, Robert Moffat. As a trained teacher, Mr Mzamo went on to work at Ingwenya, and then at Zenka, where he became Headmaster of Zenka School. Rev James Fraser was then minister at Zenka. Later Mr Mzamo was accepted as a candidate for the ministry, and was to study a course set by the Synod under Mr Fraser’s supervision. In 1954 a new Teacher Training School was instituted at Mbuma under Rev James Fraser. Mr P Mzamo moved there as Head of the Practising School, and was to continue his studies for the ministry. In 1957, he went to Scotland and was ordained as a minister in May 1957. He returned to Mbuma and continued work in the Training School but also undertook pastoral work. In 1959, Mr Fraser was due leave, but after a severe illness he passed away in March 1959. Mr Mzamo took the funeral worship, and spoke on the scripture, Revelation 14:13. Mr Mzamo was now the minister at Mbuma and responsible for several kraal schools started in the area. Through these schools, the gospel spread and preaching stations were established in these places. Some had started under Mr Fraser, and over the years the number of preaching stations under Mbuma increased to about 12. Mr Mzamo spared no effort to declare to poor perishing sinners the saving knowledge of the Lord and Saviour Jesus Christ. He was highly respected in these different areas and there was a steady increase in the number of church members. A large gathering from several places attended communions at Mbuma, as is the case even at present. In 1963 Mr Mzamo attended the Synod and was appointed Moderator of the Free Presbyterian Church of Scotland. In 1972 he, together with Rev A B Ndebele and Mr James Tallach, completed the translation of all the Psalms into Ndebele (a selected number were already in use), and in 1965, the Shorter Catechism was translated – largely by Mr Mzamo. A difficult period affected the whole country, Mbuma included, during the Independence War struggle in the late 1970s and the early 1980s. In 1978 the school at Mbuma was set on fire. Mr Mzamo was away at the time; but, later that year, he became unwell and went away to Ingwenya, to the Gwazagwaza area of the Fingo Location. In March 1981 the Hospital at Mbuma was re-opened and Rev J R Tallach (also the doctor at the Hospital) was made the interim moderator. But again, in 1983, there was a further disruption and Dr Tallach, who had to leave, returned to Scotland. Mr Mzamo, whose health had improved, returned to Mbuma as minister in 1983. In later years, the Hospital, which was closed during disturbances, re-opened and the Mission staff returned and often consulted with him on spiritual matters. Over the next period of more than 20 years, he continued his regular preaching at Mbuma and its congregations and at communion services in the Church. He also attended various Mission meetings and his contributions and opinions were of value. His Christian witness was strong. At the Presbytery meeting in October 2006, Mr Mzamo gave notice of his retiral in December that year. He made it clear how attached he was to the Mbuma congregation, in which he had laboured for nearly 50 years, as well as in other areas in the Nkayi district. It was not easy for him but he was encouraged by Spurgeon’s words that, when a minister is leaving a congregation, he must leave it to the Lord. He encouraged them to continue in the Free Presbyterian doctrine and exhorted them that their lives should be according to the gospel. After his retirement, he continued to be a member of the Presbytery, where his contributions were full of experience and wisdom. 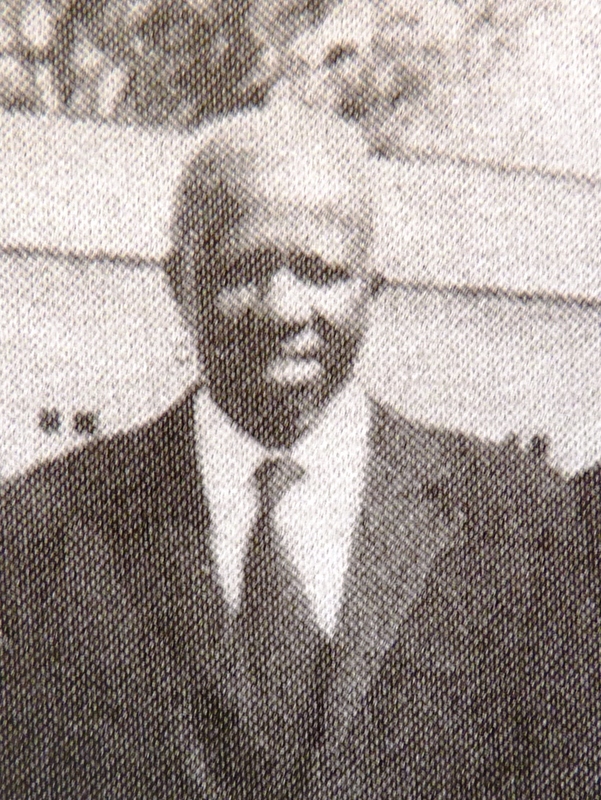 Having moved from Mbuma to Bulawayo, he helped in preaching when possible. Mr Mzamo helped in the Bible revision translation while he was able, by checking the text and giving his opinion where necessary. His interest in Mbuma was evident, as he and his wife attended the Mbuma communion seasons, whenever possible, and were well received by the congregation. Mrs Mzamo had been a great help in many ways. They had been most hospitable to guests at communion seasons. Mr Mzamo’s regular practice of reading the Bible and religious books continued, his Bible being his companion – as one who seeks those things which are above, where Christ sits on the right hand of God: “Set your affections on things above, not on things on the earth” (Col 3:1-2). One of his desires, which he often expressed in prayer, was that another pastor would be set over Mbuma. This the Lord has now answered. On 7 July 2012, Mr Mzamo was removed from this sinful world to be with his Master. “There remaineth therefore a rest to the people of God” (Heb 4:9). On the day of his funeral, worship was conducted at Lobengula church, in Bulawayo. A large number of people, relatives and friends from all parts of the Church in Zimbabwe attended. His mortal remains were laid at Westpark Cemetry in Bulawayo. He left behind his wife, Mrs T Mzamo, and his three sons (living in South Africa and the USA) and his three daughters in Bulawayo. May they depend on the Lord, who said, “My grace is sufficient for thee: for My strength is made perfect in weakness” (2 Cor 12:9). “Remember them . . . who have spoken unto you the Word of God; whose faith follow, considering the end of their conversation” (Heb 13:7).